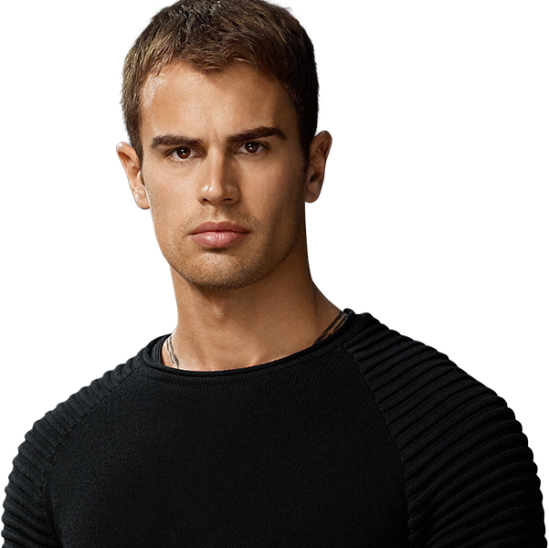 No, not that Four though he is pretty dreamy and I can't stop thinking about him after seeing Divergent! No, no. Today I wanted to do a little something with the number four like...four things you may not have known about me. I actually had a different topic I was going to write about for the letter "F" and as often has been happening, I threw that out the window when I came across an email from November 2006 in which I filled out an email and shared it with my friends to see who would send it back. Remember those? Below you'll see my answers now, which don't really vary much from my 2006 self. However, the ones that do differ will be right next to their counterparts in pink, of course! I really think I could have added more than four things, especially on the Apps or websites I visit everyday. Hello, Instagram, Twitter, Goodreads, Kindle...the list goes on and on! 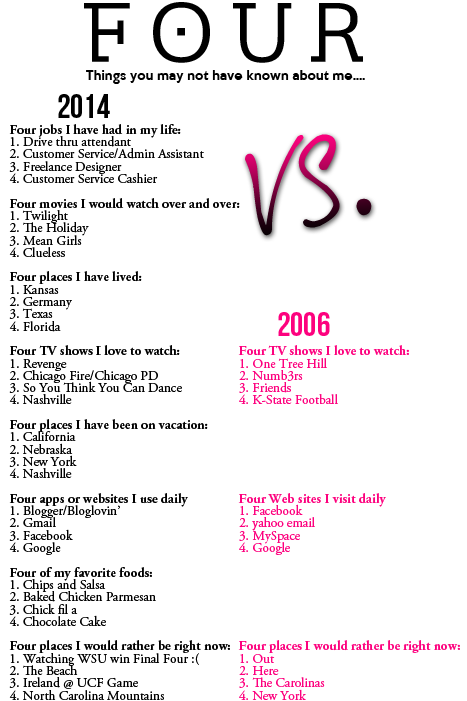 Also, I have NO IDEA what was going on with 2006 self in that last question. Maybe I wanted to be out with friends and where I was too?! 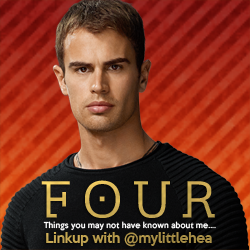 I'm doing my first link up if you want to get in on the Four action! I have a Google Doc ready for you to copy/paste and input your answers on your own blog right here. You can download the Divergent font to use in a graphics program if you want here. You can also grab the button code below. Have you ever found something like this you filled out months or years ago and marveled at the different responses? Come back tomorrow for a Guest Post + Giveaway Extravaganza!! divergent is on my list of movies to watch! i heard from so many people that it's really good. Hello Four! It is so funny to see our answers change over time! Love the movie The Holiday. haha I love that you used a pic of Four for this link up! I haven't seen the movie yet but I can't wait! The Holiday and Mean Girls are two of my absolute favorite movies ever! I could never tire of them. Clueless is hilarious too. Love it! I've lived in Germany and Florida too! Were you a military brat? Air Force brat right here! I go to Texas all the time since I live in north Louisiana, but I've never lived there. Revenge is one of the most stressful shows ever! Ah! Mmm Chick-Fil-A. I'm gonna be linking up on Thursday! Your favorite foods are almost the same as mine but I haven't been to Chik Fil A! I may just have to do this! How long is the linkup open? P.S. This is a very great idea for your F post by the way. A creative way to use Four as four. If I didn't already have an F post planned out I would've joined in.